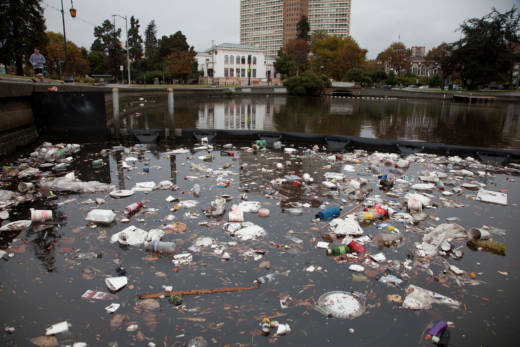 Trashy Bay: Has Oakland Really Cleaned Up Its Act? 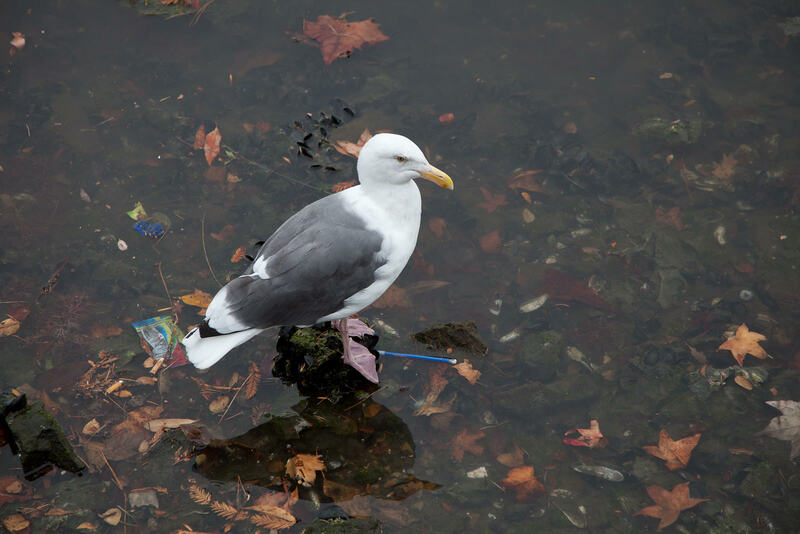 Oakland has one of the worst rates among Bay Area cities for garbage going into the ocean. Illegal dumping, sidewalk litter and homeless encampments all contribute to more than 300,000 pounds of trash leaving Oakland and entering the ocean each year. But on Tuesday, at an Oakland Public Works meeting, the city announced that it had finally met a summer deadline for cutting down on trash that enters storm drains. The Regional Water Quality Control Board originally ordered Oakland to cut its trash by 70 percent by July. The city missed that deadline, saying it had only reduced trash by 45 percent. But this week, watershed manager Lesley Estes says they've now met that goal with a plastic bag ban and better accounting. "We were really under-measuring how much trash we were removing from above ground, before it actually got into the storm drainage system," said Estes. The city says it was able to meet its 70 percent reduction goal because it started keeping better track of what was on the ground before it went down storm drains. This new accounting showed the city was picking-up more than it thought, helping bump the 45 percent compliance number above 70 percent. Oakland also deployed more volunteer clean-up crews in the past year, and Alameda County expanded its plastic bag ban in May, which helped. 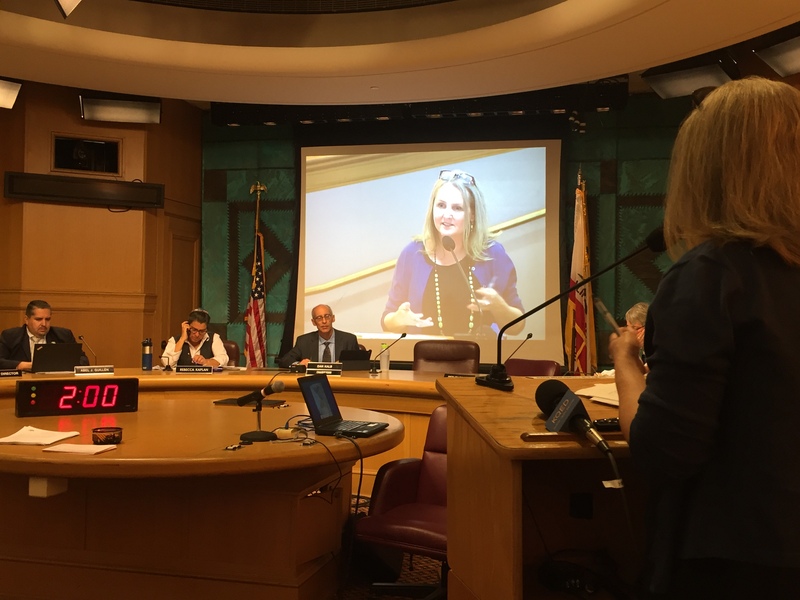 But at the Public Works meeting, City Councilmember At-Large Rebecca Kaplan said Oakland needs to do more, because its trash cans are spilling over. "The street litter containers are full, they’re overflowing, they’re dropping trash... people then drop their trash on the street," said Kaplan. "That is a problem I’ve gotten complaints about all throughout the city." Kaplan said Oakland's watershed team must report back by April on how it plans to address overflowing trash bins and parked cars blocking access to street sweepers. Unlike San Francisco, which has a combined sewer-storm-water treatment system, Oakland’s storm water drains directly into the Bay. Cigarette butts, candy bar wrappers and plastic straws rush through city pipes after big storms and eventually dump into the ocean. Once there, many plastic particles smell attractive to fish, which eat them. Has Oakland Really Cleaned Up Its Act? Part of the problem, says Save the Bay program manager Allison Chan, is that tallying up the trash that's in Oakland is extremely difficult. "You're basically relying on people to go out and conduct 'visual surveys' and count everything they see," says Chan. "It's crazy, it's so impossible to come up with an actual number." City officials give an area a number value instead of actually counting all the trash. They'll say a section of Oakland ranges from category 1 (low trash volume) to 4 (very high trash volume). And then staff can decide how to dedicate resources. Incentives for the city to comply are huge. After San Jose failed to address its trash and sewage problem, the environmental advocacy group San Francisco Baykeeper sued the city for violating the federal Clean Water Act. The city is now paying more than $100 million to clean up tons of garbage headed into creeks and San Francisco Bay, repair leaking sewage pipes, and treat bacteria-contaminated storm-water. Water quality samples taken by Baykeeper in San Jose found some of the highest levels of sewage contamination and trash accumulation in the Bay Area. The environmental group filed the lawsuit in 2015 and San Jose agreed to pay for clean-up without admitting wrongdoing. David Lewis, executive director of Save the Bay, another environmental group, wants people to be able to visit places like Damon Slough, an East Bay Regional Park District tidal marshland in Oakland, and see egrets and herons instead of broken toilet seats and discarded car tires. "If you look at those black objects that look like rocks, those are all discarded tires. One, two, three... there's almost ten of them," counted Lewis, on a recent visit to Damon Slough. On the day he visited in August, he found a toilet seat, toothbrushes, water bottles, a tennis ball and an old mattress stuck in mud along the creekside. "This is one of Oakland's ecologically sensitive areas," Lewis said, "and we need to protect it." The next time the city must update Public Works on its clean-up progress is in April 2018, after it has addressed over-flowing trash bins and cars blocking street sweepers. And by 2022, the city must entirely eliminate trash going into storm drains. Image underneath the audio player provided by Richard James/Coastodian.org.